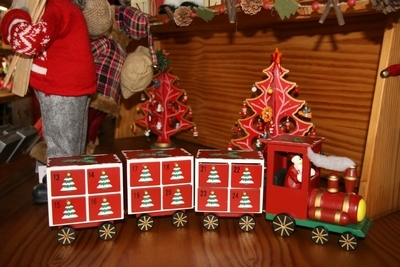 Size: 50cm long, 15cm high. 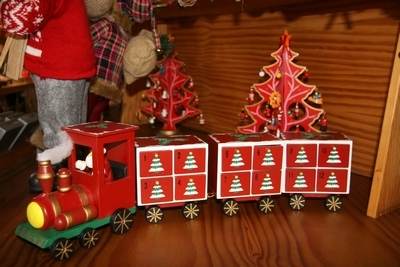 An advent calendar which consists of a engine and four carriages with 24 numbered boxes. 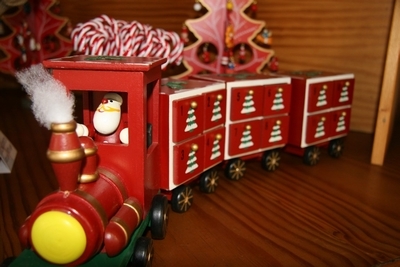 Of course, Santa is driving the train - full steam ahead!